​​New England Patriots owner Robert Kraft has faced immense scrutiny lately after he was ​linked to a prostitution ring in South Florida. There is said to be ​video evidence of Kraft being at the massage parlor that was targeted by law enforcement for human trafficking occurred. Kraft has maintained his innocence throughout the investigation. 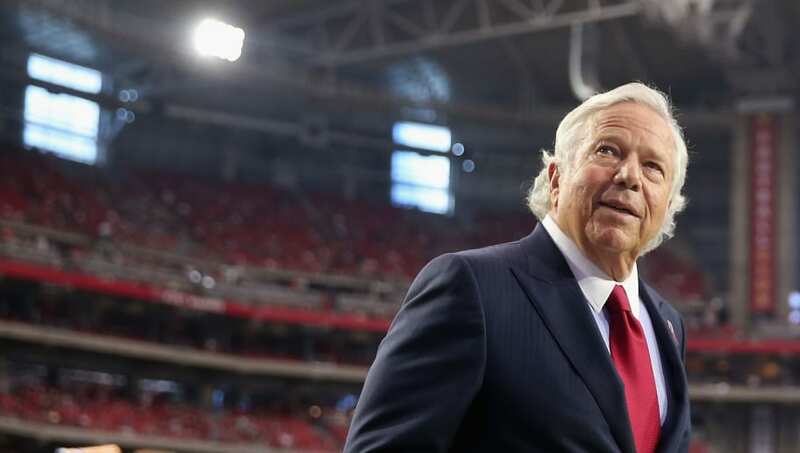 Kraft's attorney, William Burck, has now come out and claimed that the footage acquired by law enforcement was illegally obtained. ​​"There was no human trafficking and law enforcement knows it. The video and traffic stop were illegal and law enforcement just doesn't want to admit it," Burck told ESPN, via Adam Schefter. "The state attorney needs to step up and do the right thing and investigate how the evidence in this case was obtained." While Burck's comments suggest that Kraft was in fact the man seen on video at the Orchids of Asia Spa, he insists that the footage was recorded illegally and can thereby not be used in court against his client. If this is true -- there's been no previous indication that Burck is correct here -- then this legal battle is just getting started. It could be a long time until a final decision is reached, but Kraft seems more than willing to fight for his innocence in full.